Angela J., an administrative assistant at a local university, has been a patient for some time. 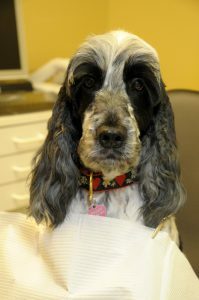 Not long ago, she came into our office with pain localized to her upper right second pre-molar. Clinical evaluation, along with the review of an x-ray film, found that the tooth in question was previously treated with root canal therapy and subsequently treated surgically. 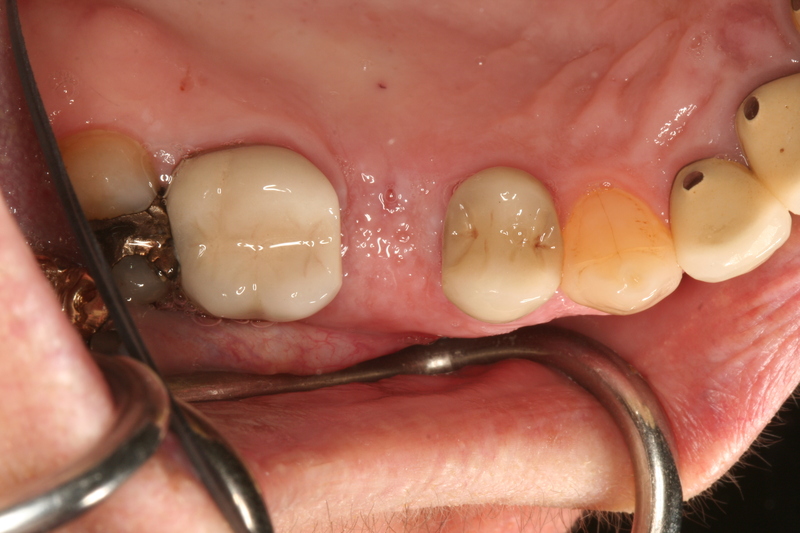 It also suggested, however, that the patient had a recurrent endodontic infection on the upper left second premolar. In light of the tooth’s history the tooth was deemed hopeless. In fact the periodontal pocketing suggested that perhaps the tooth was hopelessly “cracked”. It was recommended that the tooth be extracted. The bone socket could be grafted with granular freeze dried bone and after sufficient healing time, an implant fixture could placed. This is in fact what was done. 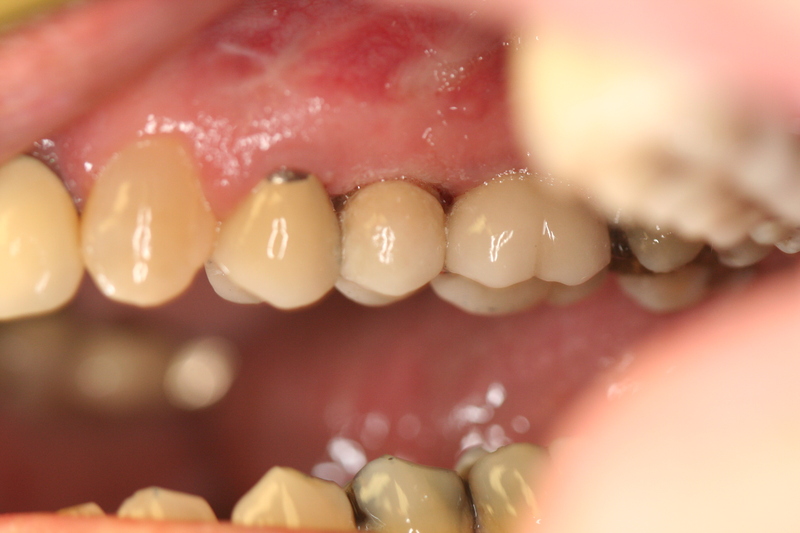 Following sufficient healing time, an implant fixture was placed and restored with a custom made abutment and a Porcelain Fused to Gold Alloy Crown. Notice the teeth on either side of the tooth being replaced have remained the same. We also fabricated a bite splint to distribute and decrease harmful forces on her remaining teeth and the newly fabricated implant supported crown as well. The above is much more common today than it was in the past, when it was more common to prosthetically reconstruct the area with a three unit fixed bridge. 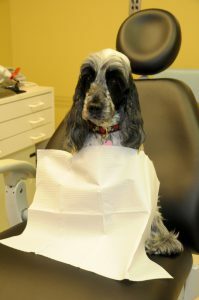 If you would like to discuss any aspect of the foregoing please contact us at eastboyntondental.com. Our Office Manager, Marcie, began her life in New York. To be more specific, she was born in Brooklyn, and spent a short time there. Her family moved to Queens, New York, where she spent most of her early childhood. At age of 13, however, Marcie, moved with her family (including two sisters) to Florida. They settled in Coral Springs. She ultimately graduated from Coral Springs High School. With time Marcie, got married and had three children. To help support her growing family, she worked for what was formely known as Barnett Bank. She decided, however, to go back to school with aspirations of completing the Dental Assisting Program at the Palm Beach Community College. She became a Certified Dental Assistant in 2004. Her first job straight out of school was a position in our office as a chairside Dental Assistant. Having been trained at Palm Beach Community College, she had the skill set to assist in a broad scope of dental procedures that included, but were not limited to Prosthetic Dentistry, Cosmetic Dentistry, Sedation Dentistry, Implant Dentistry, etc. We have been so fortunate being the benefactor of Marcie’s skills. She has been a wonderful addition to our office and we are so lucky to have her. With time and personnel changes in our office, we asked Marcie, to take over the front desk as the Office Manager. She is a quick study in adapting where needed. She is the initial contact person on the telephone and she usually is the first smiling face that you will encounter when you first arrive at our office. That is where you will usually find her, although on occasion you might also see her chairside – “pinch hitting” for Alicia, Dr. Indictor’s usual office Dental Assistant. At East Boynton Dental, if you have a question regarding dental insurance, Marcie, will best be able to answer you and the information will be given to you with a smile. If you call to schedule your checkup, I’ll stop sending corny jokes!!!!! 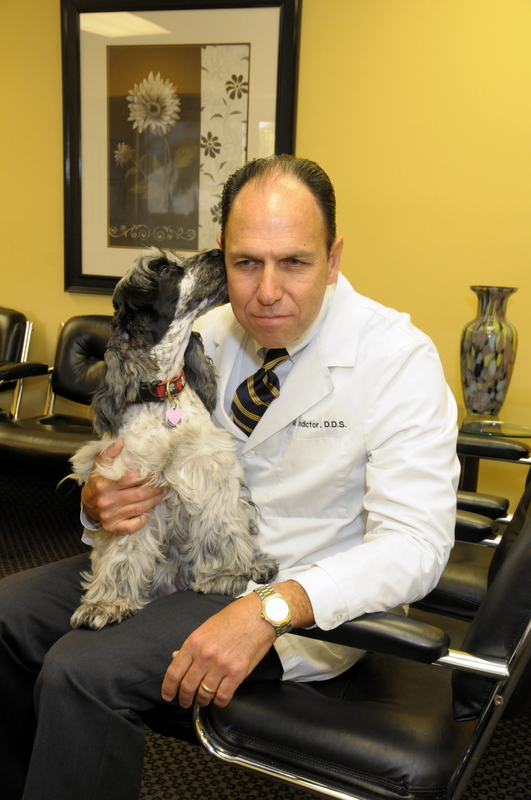 The Academy of General Dentistry ran a noteworthy article in their September 2013. Vol. 41, No. 9, AGD Impact Newsmagazine which I felt was worth sharing. It was a series of questions about the care and maintenance of your toothbrush. What to look for when choosing a tootbrush? The best toothbrush has a long, wide handle that fosters a firm grip. The head of the brush should be small enough to get into all areas of the mouth, with soft nylon bristles that won’t traumatize the gums. Electric toothbrushes use an oscillating or rotary motion to clean the teeth. They can cover a larger area of the mouth faster than a manual toothbrush. They are especially suited for those with braces undergoing orthodontic correction, those who need extra motivation to brush and those who have difficulty operating a manual toothbrush due to age, disability or other factors. If you do use an electric toothbrush, avoid excessive pressure. Instead use light force and slow movements. This allows the brush to do the work for you. It is not uncommon to experience slight bleeding during the initial period of use; this will resolve with time. Children age 10 and younger should be supervised while using a electric toothbrush. A favorite quote by Derby. If you call to schedule your checkup, I’ll stop sending corny jokes!!!! Why do I wear contact lenses? What kind of market do I avoid? What did the dalmation say after eating? Why am I a lousy dancer?